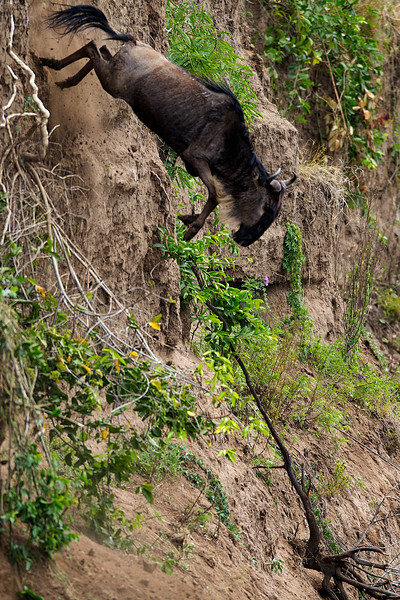 A massive herd of Wildebeest finally work up the courage to do a river crossing, but end up picking the most dangerous spot possible. We watched in amazement and horror as thousands of them lept (or were pushed) off a high cliff to the river bank below. Many did not survive the fall.